There may be a global recession but the 2009 International Ceramics Fair & Seminar was greeted as enthusiastically as ever by the collectors and academics who frequent the fair every year. Founded by Brian and Anna Haughton and now in its 28th year, the 15 exhibitors offered a wide selection of the very finest British and Continental pottery, porcelain, glass and enamels. Running concurrently was the 12-part lecture programme, an annual forum for presenting and discussing the latest research and discoveries in the ceramics world and which was again attended by leading academics and collectors. JUNE 8, 2009, Sotheby’s London biannual Russian Art Evening Auction achieved the solid total of £7,906,050 ($12,546,901), within its pre-sale auction estimate of £6,740,000-9,920,000, and was very well-attended. The sale was 63% sold by lot and 73.3% by value, and saw new auction records established for four Russian artists: Isaak Brodsky, Boris Kustodiev, Konstantin Kryzhitsky and Vladimir Lebedev. The Dorotheum silver auction on 11th May 2009 with its high-quality and extensive range of 431 lots proved a great success at the start of this year’s second auction week; many objects selling far beyond expectations. Pride of place went to six rare German Historism Period figures based on the “Schwarzen Mander” (Black Men) guarding the tomb of Emperor Maximilian in the Innsbruck Court Church and made of parcel-gilt silver with carved ivory features. Valued at between 16 000 and 20 000 Euro, they were eventually sold to an anonymous bidder for a sensational 73 500 Euro (Cat. No. 189). 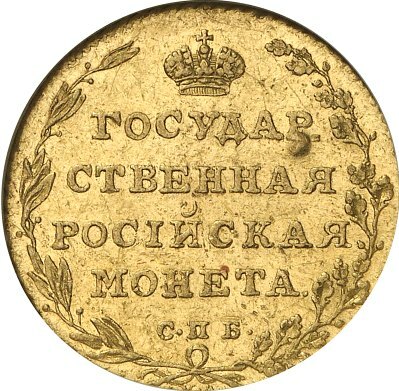 New York, NY, April 22, 2009 – Sotheby’s annual sale of Russian Art in New York brought a total of $13,842,175, comfortably within the pre-sale estimate of $12.5/17.5 million*. Spirited bidding drove more than 93% of the sold lots to prices at or above their estimates. The top selling lot was Ivan Aivazovsky’s Columbus Sailing from Palos, which commanded $1,594,500 (est. $1/1.5 million). An extremely rare Russian gilded silver and shaded enamel pictorial punch bowl and ladle by FabergК’s regular supplier Feodor RШckert led the section devoted to applied arts, bringing a price of $482,500, more than double the high estimate of $200,000. Sotheby’s will be offering a number of extraordinary objects with Russian Imperial provenance in its spring and summer 2009 Russian Art sales. An Imperial Russian silver tea service by Nichols and Plinke, St. Petersburg, 1879 from the Collection of Anastasia Mikhailovna – grand-daughter of Emperor Nicholas I – is one of the highlights of the Russian Art Sale in New York on 22 April 2009. Sotheby’s biannual sale of Russian Works of Art in London on 10 June 2009 will feature the two largest vases ever offered for sale at Sotheby’s estimated at £1.2 – 1.8 million and formerly in the collection of Grand Duke Vladimir Kirillovich – the son of Tsar Nicholas II’s first cousin. We are glad to inform you that the office of “Russian Antique” company has moved and since February, 10 it is situated in the business centre “Senator” (76, 7th line, V. O. (Vasilievsky Island), Saint Petersburg, Russia).